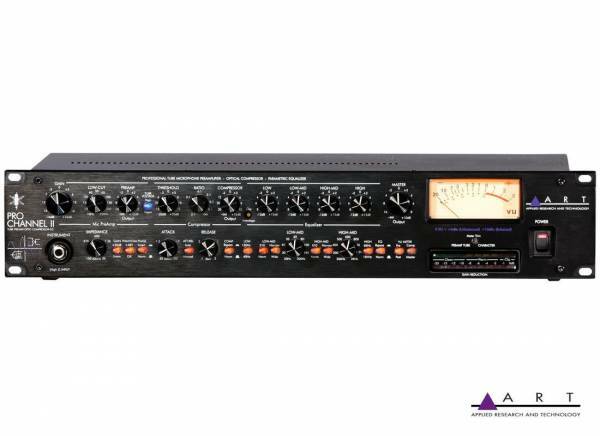 Product information "ART Pro Channel II"
The ART Pro Channel II is a tube driven Compressor and also a leveling amplifier used in any professional audio environment. This device uses discrete high-performance microphone preamp to provide clean quiet gain while maintaining amazing transparency. 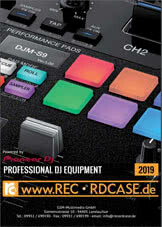 A powerful dynamic processor subtly controls transients and noise of the most demanding sources. The ART Pro Channel II Amplifier semi-parametric EQ offers wide tune-ability and can be patched before or after the dynamics processor. Separate rear-mounted insert points allow patching in external signal processing gear immediately after the Microphone preamp and before the EQ and dynamics processor. Both analog and LED meters provide a detailed indication of audio levels. Be the first who writes a review for: "ART Pro Channel II"